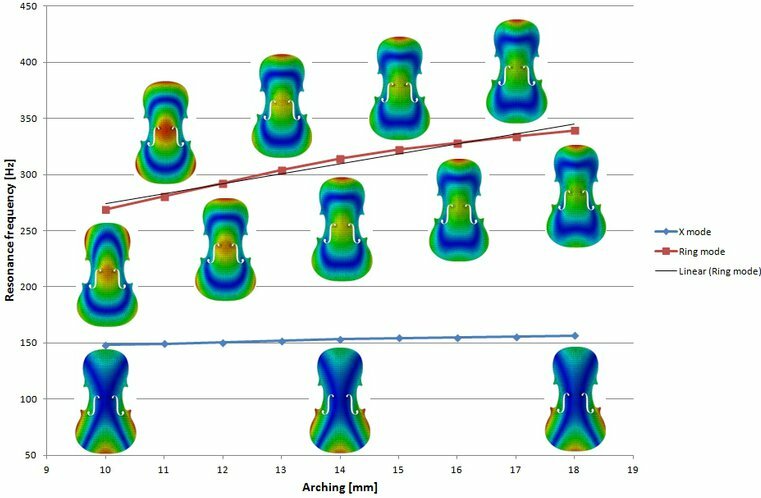 All analysis are performed with constant thickness of 3,2 mm and constant material parameters (spruce with the density of 482 kg/m3). F2 = X mode, F5 = Ring mode. 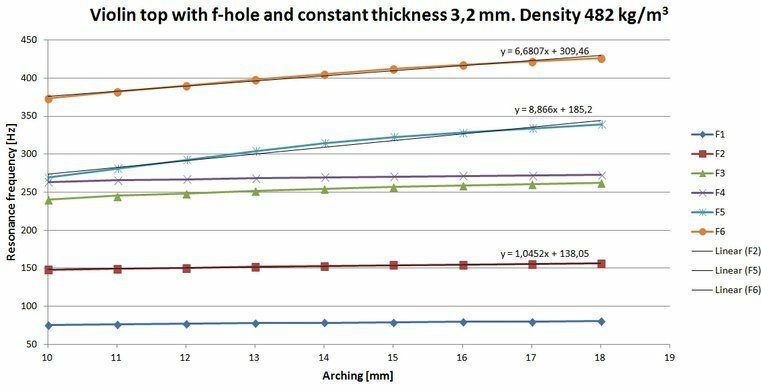 The values of arching in the graph below means maximum arch height on the top which vary from 10 to 18 mm. Results from the numerical calculations are shown in the graphs below. In the graphs, relations between resonance frequencies and arching are presented together with mode shapes. The small pictures on mode shapes are placed right over or under the corresponding resonance frequency point. In the mode figures, areas with blue color have no movements, areas with green color moderate movements and areas with red color great movements. A linear connection for mode 5 is also given.